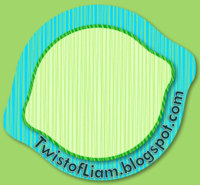 Teaching with a Twist of Liam: Did Ya Miss Me? I know how you must all be feeling - abandoned, betrayed, confused and disillusioned, and believe it or not, I didn't even TRY to alphabetise that! No, I know what you must be thinking - he just up and left! No warning. No Terminator-esque "I'll be back". Just one minute he's blogging about his classroom and the next he has vanished. Well, I'll be honest, I didn't really go anywhere but life has taken a dramatic turn over the last few months. Secondly, she has flown home to Canada. To make a long and complicated and frustrating story short, we agreed that, professionally and financially, it made a lot more sense for her to go home and establish herself while I continued to finish the school year here, collecting my salary and maintaining a good rapport with the school, until December. Then I go home to be with her again. For that to happen, the last while has been a whirlwind of packing, purging, selling, and donating. As she moved, I moved. My living conditions have been reduced from a two bedroom apartment to renting a room, from living with the woman I want to hold forever to living with a guy who...well...you get the point. According to the calendar, it has been 29 days since she flew home. Leading up to it, I was confident that we would be able to real with it all and it would be over before we knew it. The moments leading up to her having to step through the "Passengers Only" barrier were impossibly emotional. 235 days without my Lanny. I proceeded to dissolve into a hysteric mess. I'm glad none of you saw me. It was pretty embarrassing. It hasn't felt like 29 days - more like 229. Too often, I've thought about packing up early but haven't. It isn't getting any easier, either. But I have to just keep plugging away. So here I am, plugging away. So this isn't a "check this out" post or a "this, you gotta try" post. It's a "sorry about the absence" kinda post, a "no hard feelings, right?" kinda post. So, yeah. No hard feelings? Congratulations!!! ...and I am so sorry you have to be away from you fiance. I agree with Melanie, I LOVE reading your posts! I am so glad you resurfaced! I thought that you had gotten so caught up in the clutter-free classroom momentum, you decluttered yourself right out of the picture! Congrats Liam!!! What a blessing to be engaged to the woman you love, but I am so sorry you are having to go through this tough time. I hope the summer days fly by and you get to see your fiance soon! Welcome back!! I am happy to see that your absence wasn't for anything that you are not able to get through- congrats to you and the future Mrs. Liam! Looking forward to getting more updates!!! Thanks everyone for the congrats! I'm looking forward to keeping up to date with everyone's projects!